From February 1st we welcome the incredible Josh Blau to the Talalla Yoga & Wellness family. Josh is an eternal student, always looking to to see what he can learn and discover through Yoga. His past work as an actor has shown him that through breath and communication great things can be achieved. Never taking life too seriously, Josh loves being upside down. You will often see him in a headstand or a handstand. He is here to play, have fun and remember that life is too short not to try anything at least once! 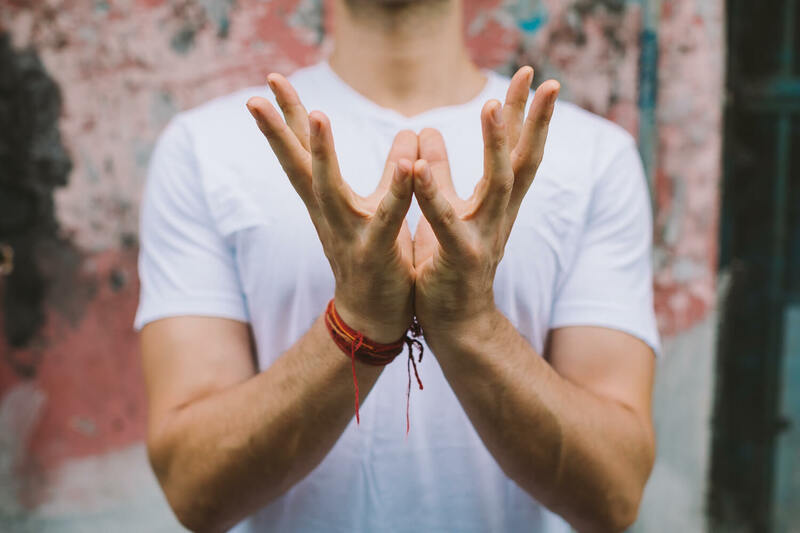 One of Australia’s leading Yoga and Meditation teachers, Josh is also known for his energetic, transformative and inspiring classes. Deeply respectful of the origins of yoga and acutely aware of modern day needs, Josh brings everyday balance and flow to his teachings. This is an experience to the very core of who we are and the tremendous power that can be accessed in the human spine. This masterclass in the traditional system of Hatha Yoga focusing on Bandhas, breath and energy in order to awaken the dormant kundalini energy at the base of the spine. This class is for the yogis who are ready to experience the limitless strength and freedom that can be unlocked from within. Expect Yoga asana, pranayama, bandhas, chakra vibration and meditation. This masterclass will take you through a complete Hatha practice traversing the landscape of the grounding and centring lunar practice, towards energy generating and gathering solar practice towards stoking our energetic fire through the central axis of the body. This masterful sequencing will deliver us across the landscape of matter, energy and consciousness through asana, prananayam and meditation invoking the highest potency of the system of Tantric Hatha Yoga. Josh will then explain the basis of using the asana and pranayama techniques as energetic tools in the practice. How we can best impact our students having them leave our classes with greater awareness and understanding of their body and themselves. You will come away from this training knowing how to sequence towards a peak pose but also understand how to intelligently use the energetics to create a specific experience for your students on and off the mat. He will go into the principles of the mind and how learning ‘The Effortless Practice’, a simple technique that allows absolutely anybody to experience the benefits of meditation, is a MUST in our modern society. Meditation is beneficial for recovery from stress and enhancement of the body and mind. Making learning this technique an investment into your wellbeing that will continue to grow. Josh will also demystify some of the common misconceptions around meditation and will also talk about modern stress, what it is and the negative impact it’s having on our daily lives. Meditation is now becoming increasingly more popular because people may see benefits very promptly after commencing a regular practice. Ancient sages believed that our waking experience of life is but a dream that we must awaken from and that the light of our awareness is revealed just before we fall to sleep each night. The yogic practice of Yoga Nidra allows us to access this state of transcendental awareness called Turiya where we are both asleep and awake. The body and mind receive deep release of stress and fatigue whilst our highest consciousness continues to expand. The foundations of our Yoga practice is a calm and stable mind. The ability to both witness the layers of the mind and to still its fluctuations is the core of this Hatha Yoga Masterclass. Expect deep forward folds and twists combined with kriya practices, grounding pranyama techniques and deep meditation for you to create space between yourself and your thoughts as we receive the Yogic gift to stay stable amongst turbulence.